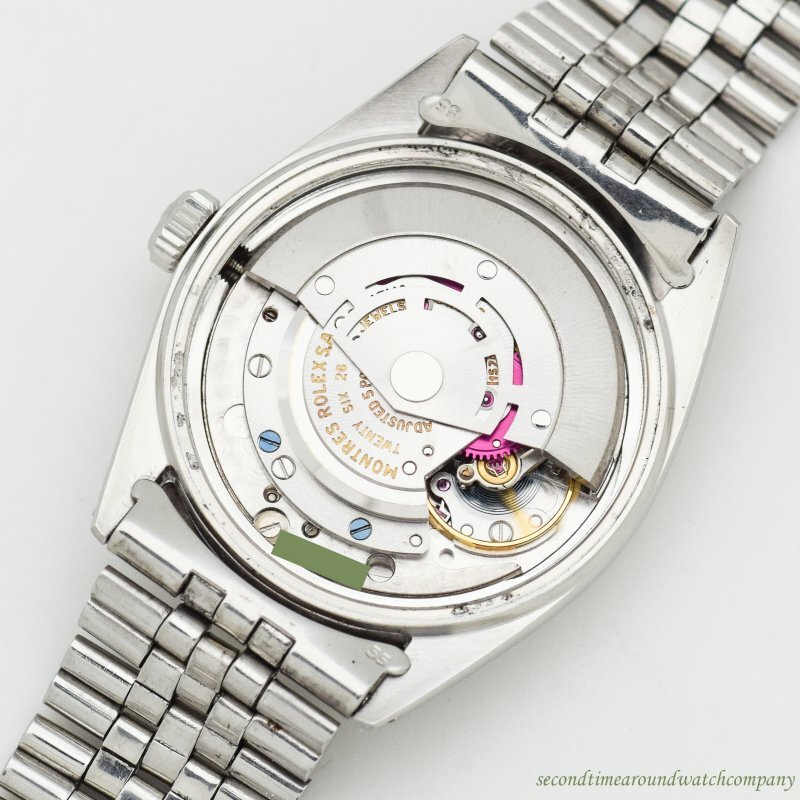 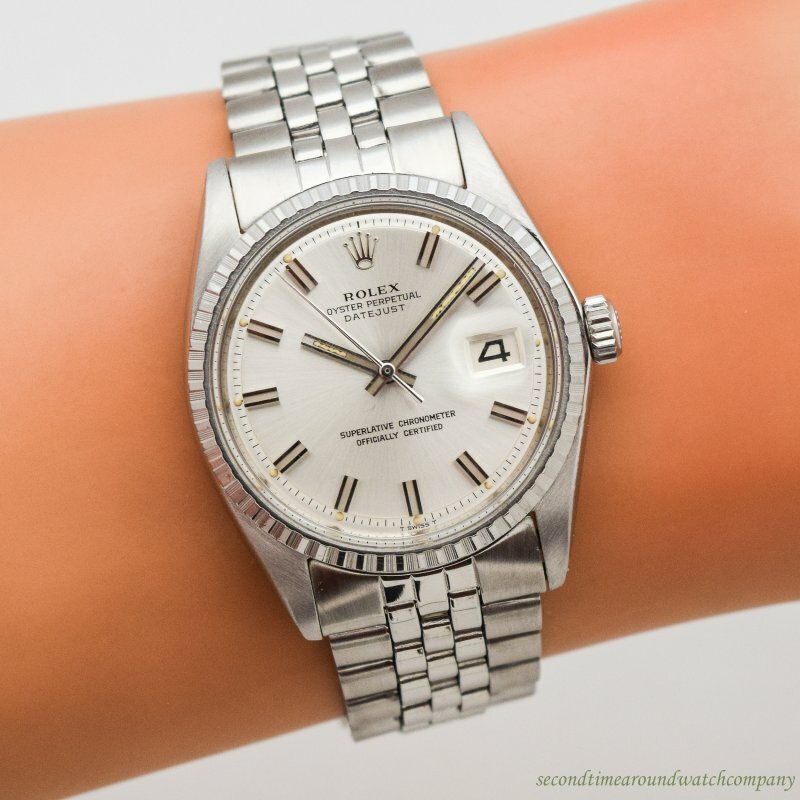 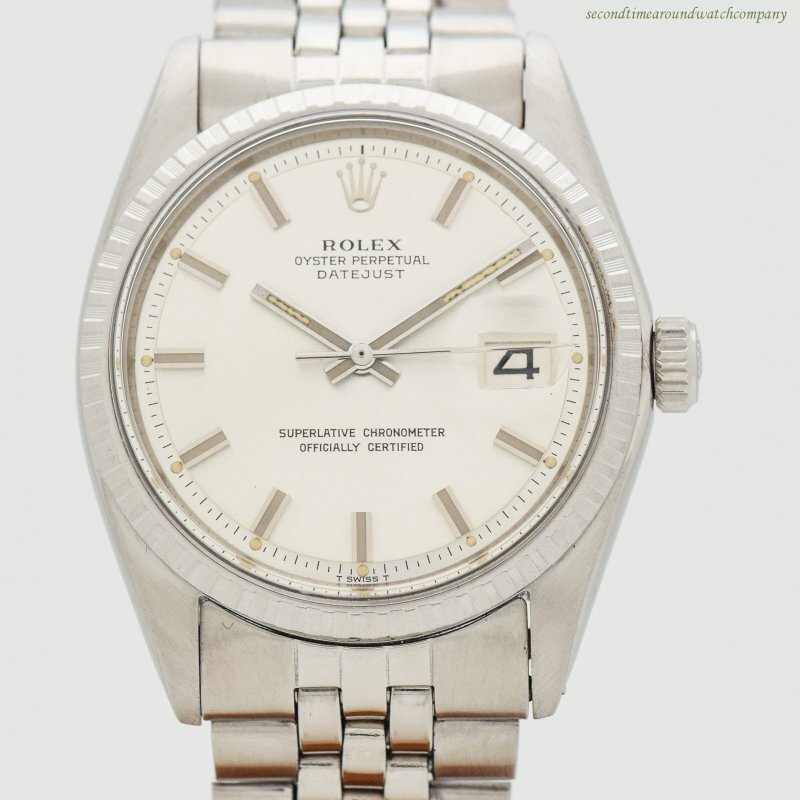 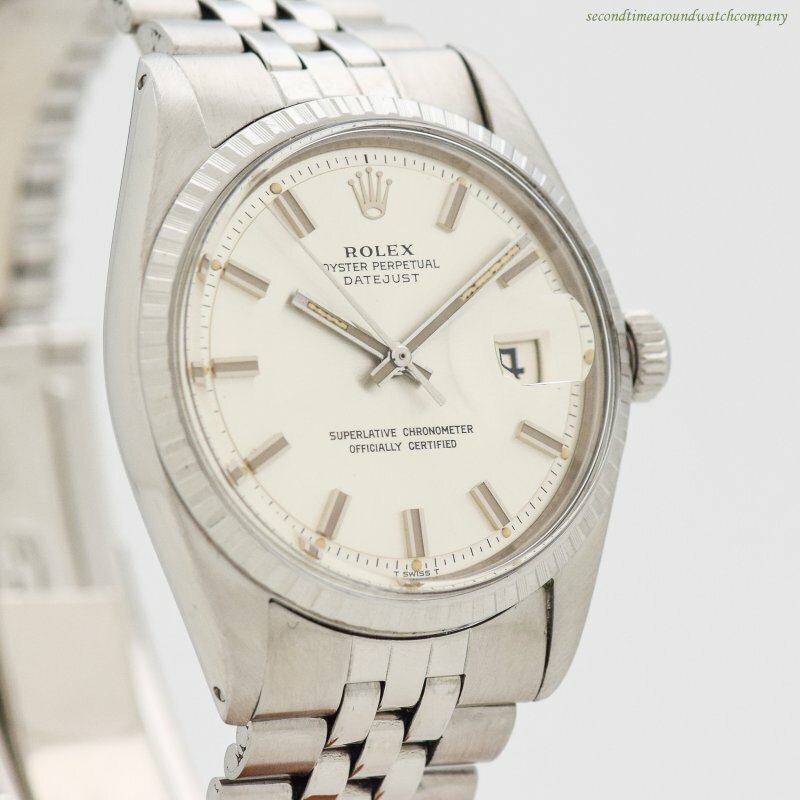 1970 Vintage Rolex Datejust Ref. 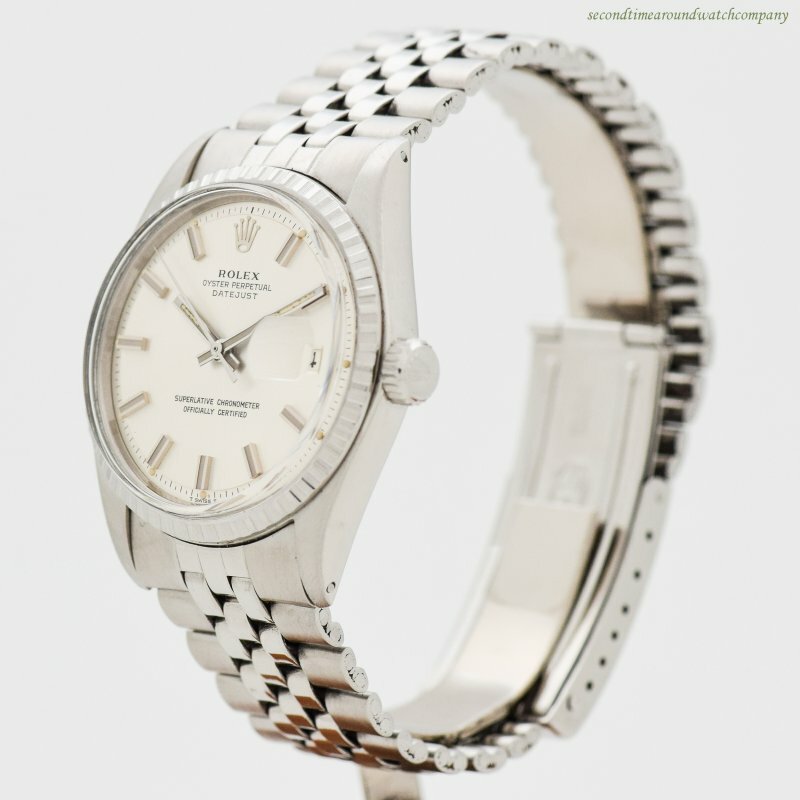 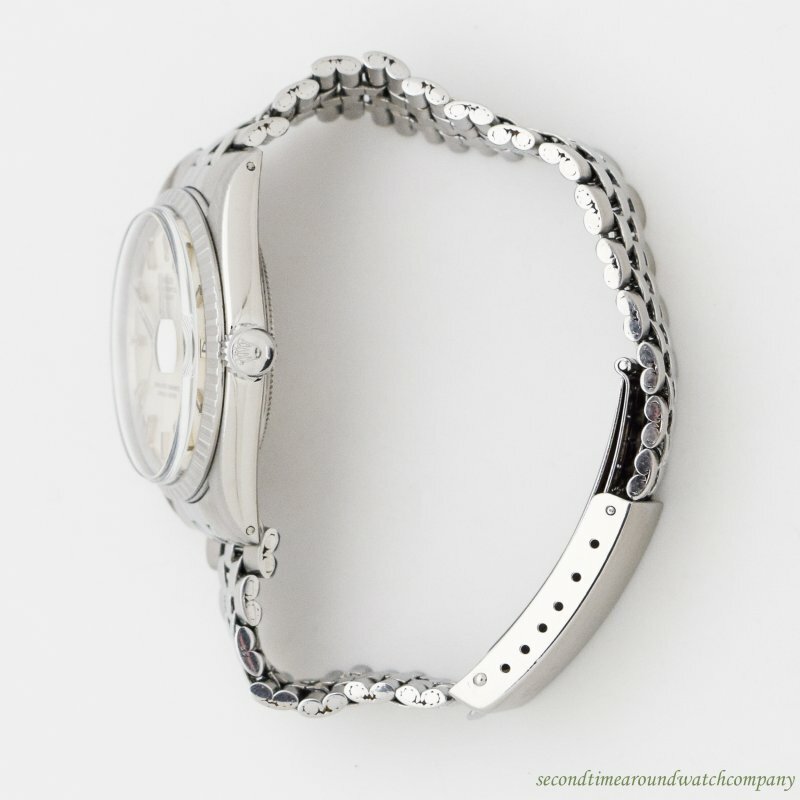 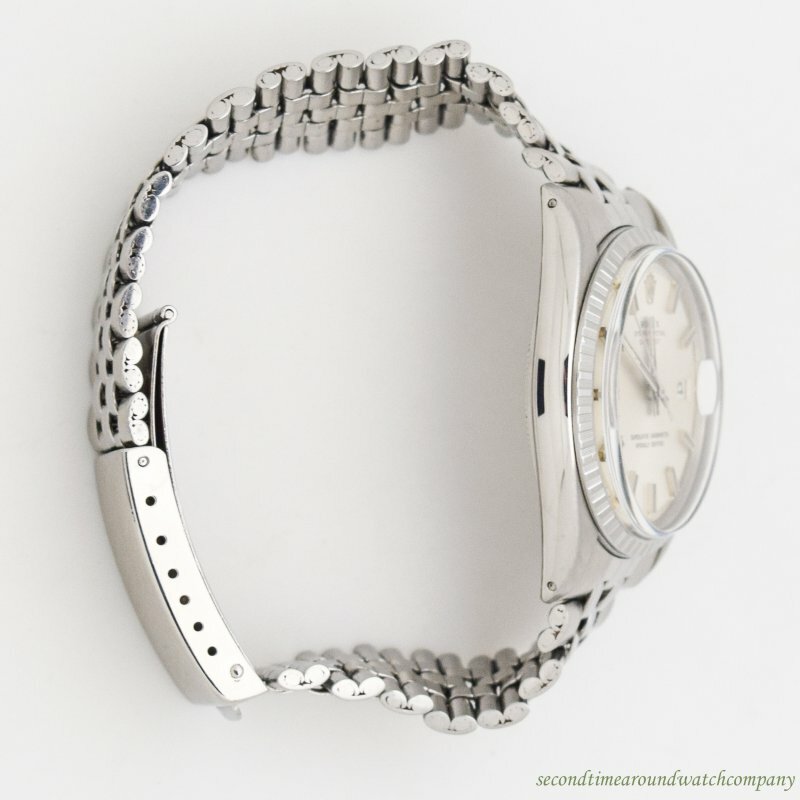 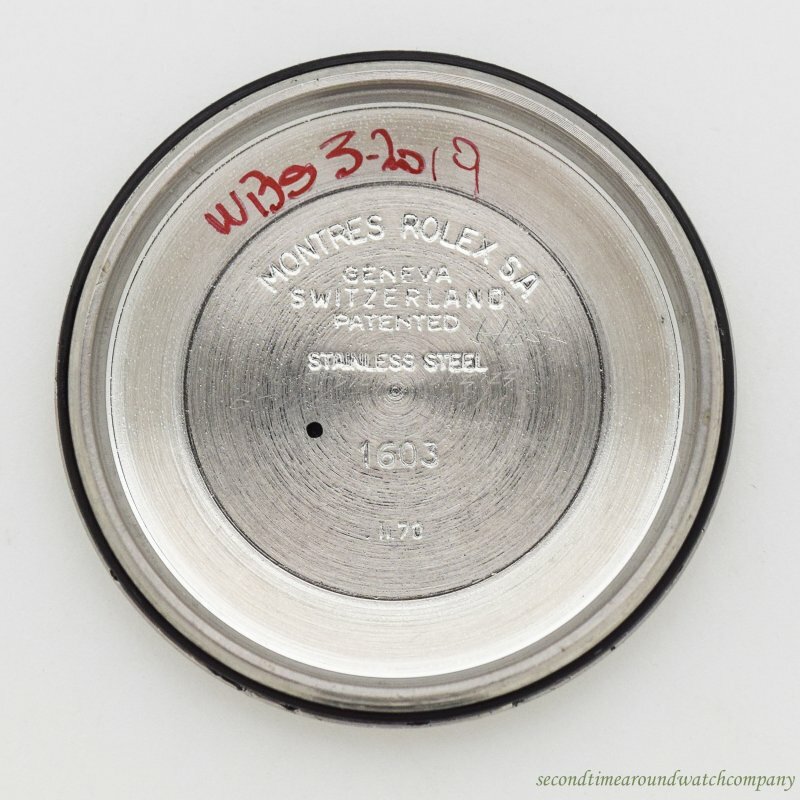 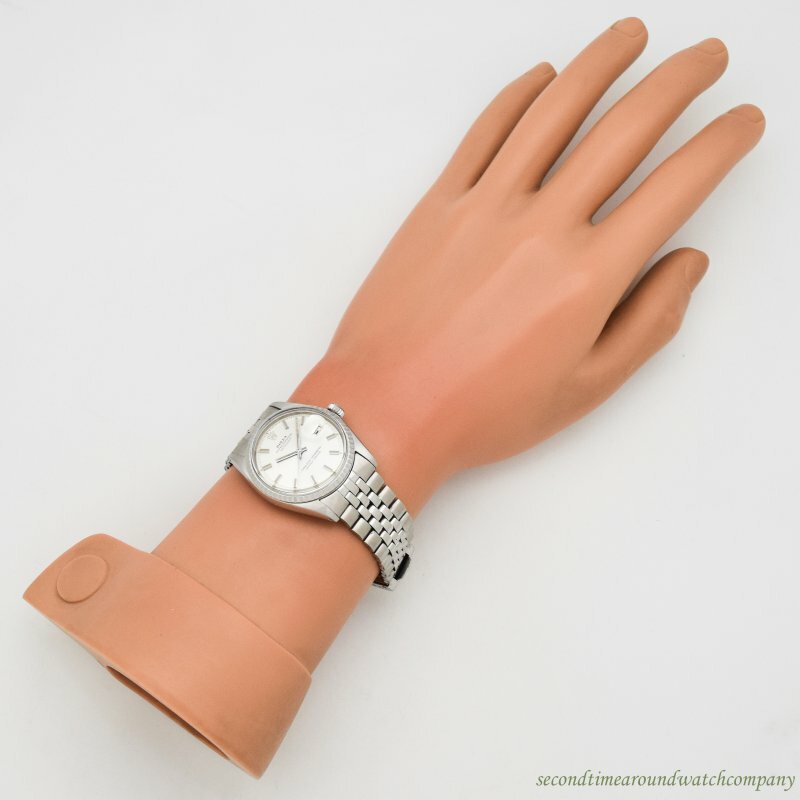 1603 Fluted Bezel Stainless Steel Watch with Original Wide Boy Silver Dial with Wide Stick/Bar/Baton Markers with Original Rolex Stainless Steel Jubilee Bracelet. 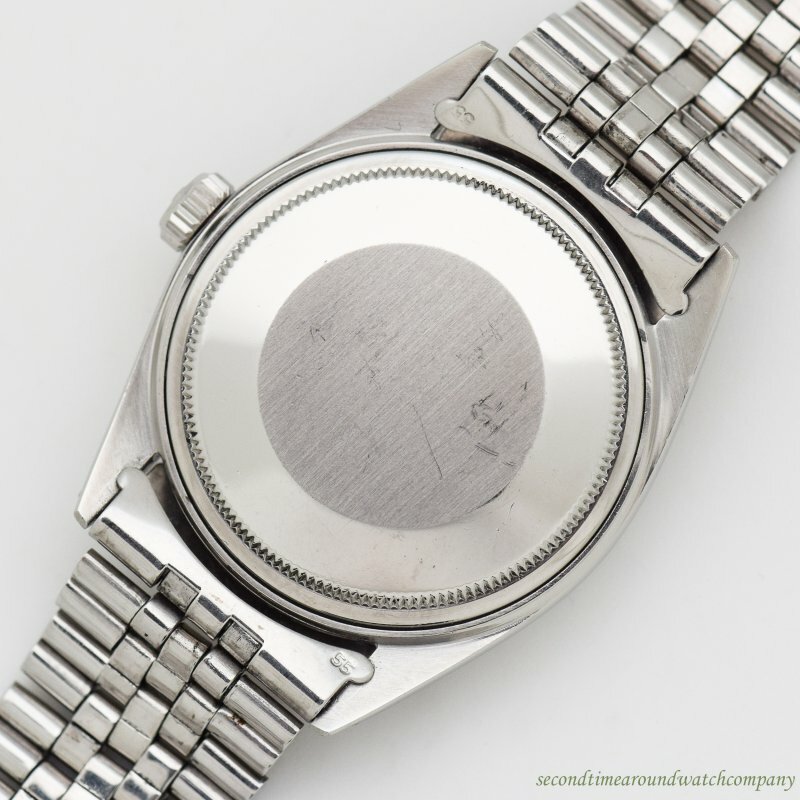 Triple Signed.